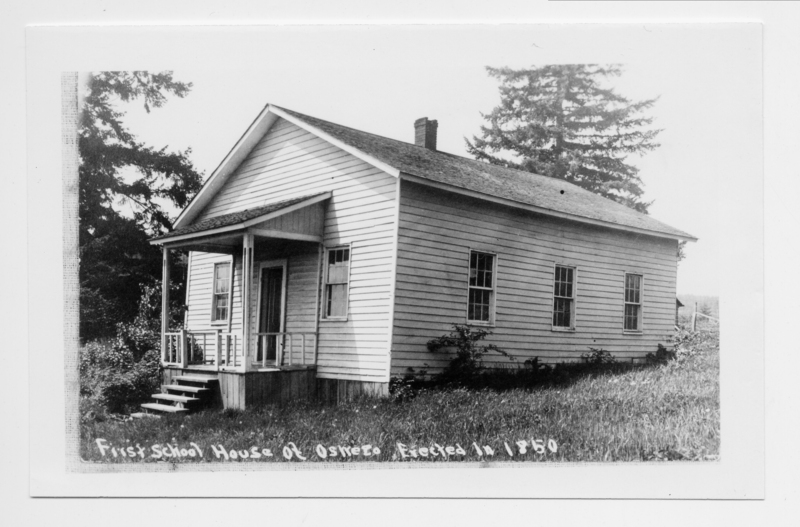 Description On front: First school house of Oswego. Erected in 1850. Negative in collection. Caption is probably wrong. Stood on the NW corner of Ladd & Furnace. Same as 1585; see notes associated with this photo. Physical Description H 3.25" x W 5.25"